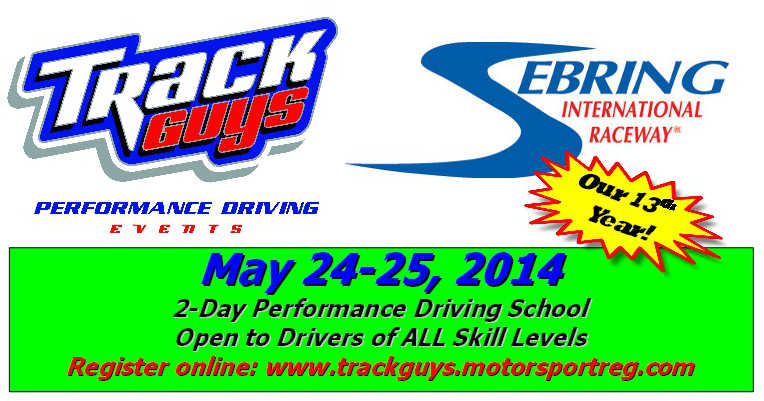 ← Registration for Track Guys’ Texas World Speedway event is OPEN! Get your 2014 Sebring Survival Guide HERE. Download this… print it off… bring it with you. 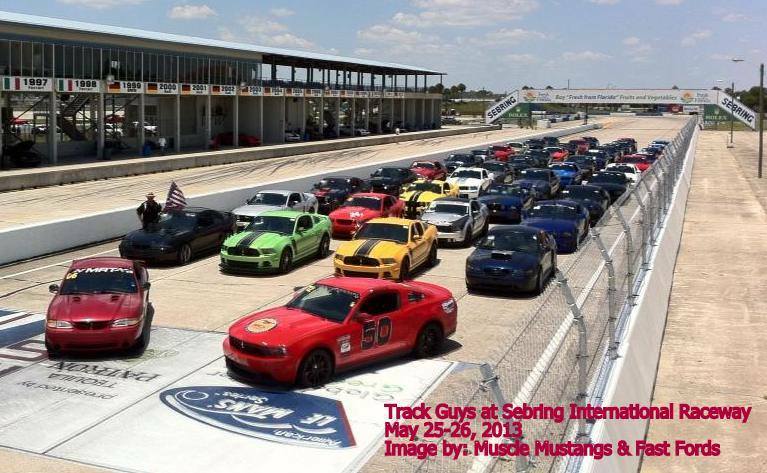 We still have slots available for the Track Guys Sebring Sensation and Boss Mustang Reunion at Sebring International Raceway, May 23-25. Register online here. Our Track Guys events are open to all makes of cars – but yes, we do tend to draw a lot of Mustang and Shelby owners. 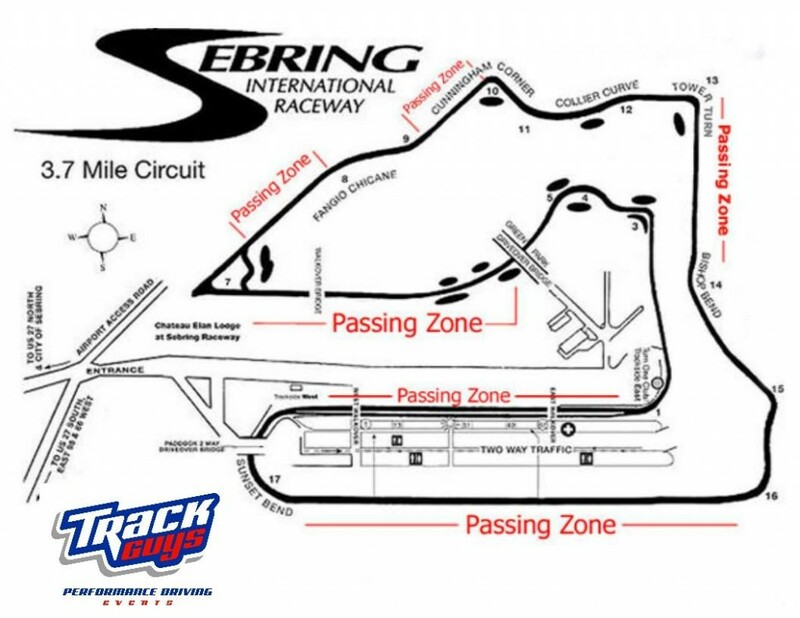 Hard to believe, but this will be our 13th year of putting on performance driving education events at this historic and challenging race track in central Florida. Thanks to our friends at the Mustang Club of America who have once again come on board to sponsor a FREE LUNCH for ALL registered drivers and instructors on Saturday at Sebring. All drivers will receive a free MCA Lunch Ticket in their registration package that will be good for a sandwich, side and drink at the famous Snack Shack in the paddock. MCA National Directors will be on hand (and participating) at the event and can answer any questions you have about today’s MCA and the events they have planned for the future. The crew from VMP Tuning will also be on hand with their chassis dyno for your at-the-track dyno tuning needs. 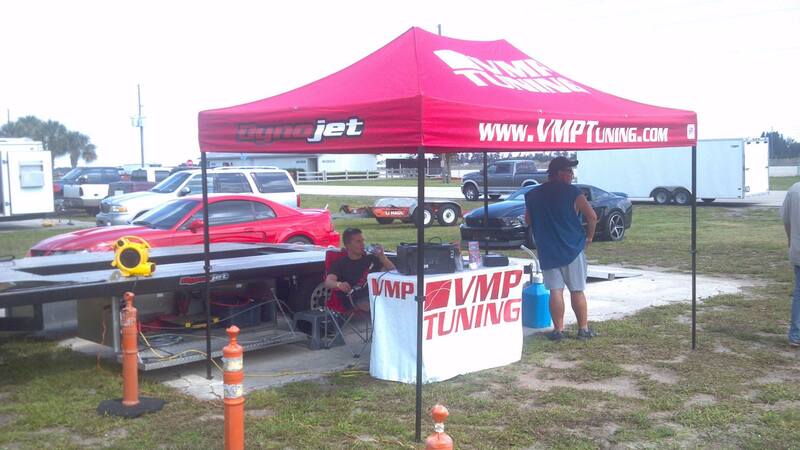 The dyno is very popular, so if you want to make SURE you get some time on the roller, give VMP Tuning a call at 321-206-9369 or email them at tuning@vmptuning.com to make an appointment. Long-time event supporter, TMS Autosports will once again be hosting a “Show & Go” car show in the paddock on Saturday. In memory of long-time friend of Track Guys, Dave Siegel, this informal event is open to all makes and models of cars and includes special parking area and lunch break “parade laps” on the full 3.7-mile Sebring circuit. For more information, contact TMS Autosport at 954-425-0058 or drop them an email. Once again, Henry and the team from Colour Tech South will be at the Sebring event capturing some GREAT images of you and your car on the track. They also have a very limited number of high-tech Smarty Cams available for rent. If you’re interested in renting one of these for Sebring, contact Colour Tech ASAP via email (info@colourtechsouth.com) or phone, 407/325-2520. 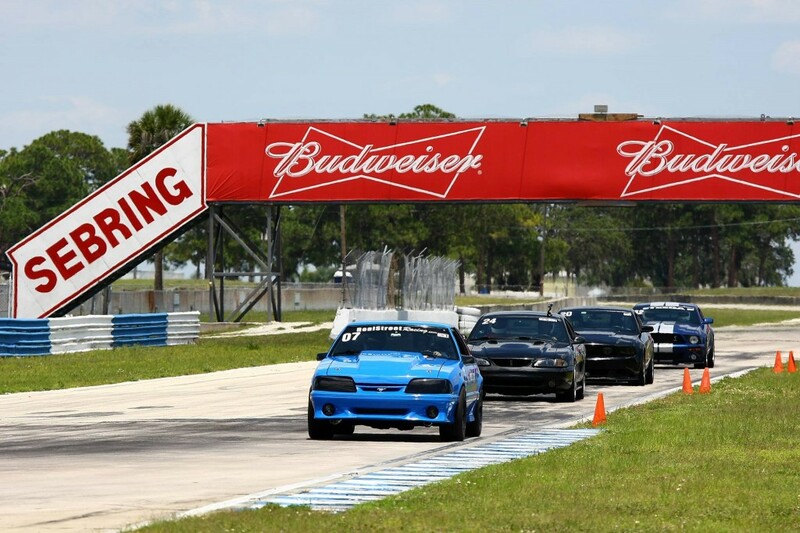 This entry was posted in Track Guys Events and tagged high-performance driving, Mustang Club of America, On-track performance driving, Performance driving, Sebring International Raceway, TMS Autosports, Track Guys Performance Driving Events, VMP Tuning. Bookmark the permalink.